When it comes to vegetables, more is more. There may be no simpler, time-tested rule for putting together a great meal than this: gather as many vegetables as you can (within reason) and put them together. This approach has made possible some of our simplest, most glorious concoctions: stews, stir fry, ragouts and vegetable soups that are as comforting as they are nutritious. So, when you’re looking to zest up your next meal with smart, real ingredients, make vegetables your go-to. Chances are, there’s a universe of choices out there beyond your usual standbys. Putting them together to create a harmonious blend of flavors is easier than you probably realize, and one of the best ways to take your next meal to the next level. That’s because a pileup of vegetables does double duty — mixing flavors and supercharging your meal with nutritional content. Consider this medley: tomatoes, naturally sweet and a good source of vitamin C; fennel, an aromatic and flavorful Mediterranean favorite; fiber-rich white beans, which are good for digestive health; carrots, a good source of antioxidant vitamin A, important for eye health; red peppers, high in vitamin C and carrying a hint of sweetness; and potassium-containing zucchini. Every now and then, it’s declared that a certain food is having a “moment.” But farro’s moment has been lasting for years. It’s one of several grains, including quinoa and barley, that have surged in popularity — especially as alternatives to rice or pasta. And it’s not hard to see why farro is so beloved — a wholesome ancient grain that’s high in fiber, it brings a delicious heft and chewiness to any dish. But a look at farro’s history shows it’s much more than a trend. With ancient origins in the Fertile Crescent region of the Middle East and Mediterranean, farro is said to have been found in the tombs of Egyptian pharaohs (so you have a good conversation piece, too). It’s been a staple of the Italian diet for centuries, in dishes like zuppa di farro, or farro soup. If you’re an Italian food aficionado, you’ve probably seen it on restaurant menus enlivening everything from salads to desserts. 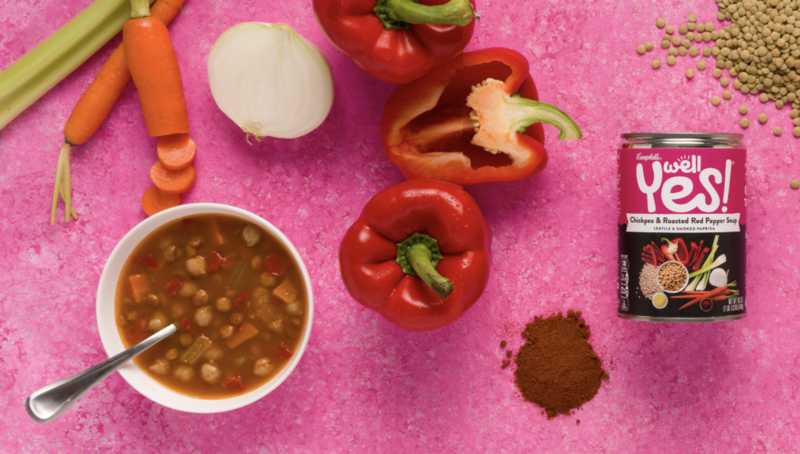 Well Yes!® Italian Vegetables with Farro soup brings this power duo of real vegetables and farro together so you can say yes to smarter choices. Like Chickpea and Roasted Red Pepper, Sweet Potato Corn Chowder and other Well Yes! soups, it has purposefully-sourced ingredients with no GMOs or artificial colors. Plus, the cans are non-BPA lined and recyclable, so you can be sure your choices are both nutritious and good for the environment. So, say yes to exploring more power duos that can elevate your eating life, in ways that fit your lifestyle. You can learn more about delicious Well Yes! soups that feature nutritious, delicious, unexpected ingredients here. This article was produced by Thrive Global and sponsored by Well Yes!